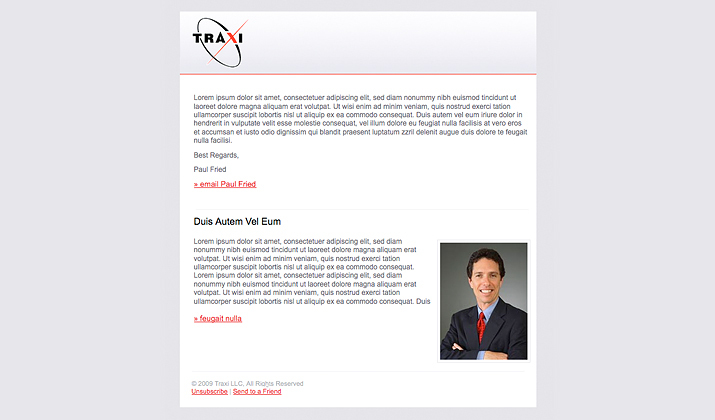 We created a branded html email template for Traxi, a New York City business advisory firm. The template is flexible and editable, so it can be used over and over again. We also set them up with a streamlined email marketing tool that allows them to track who reads and clicks on their emails, keeps their subscriber list up to date and archives the email campaigns.